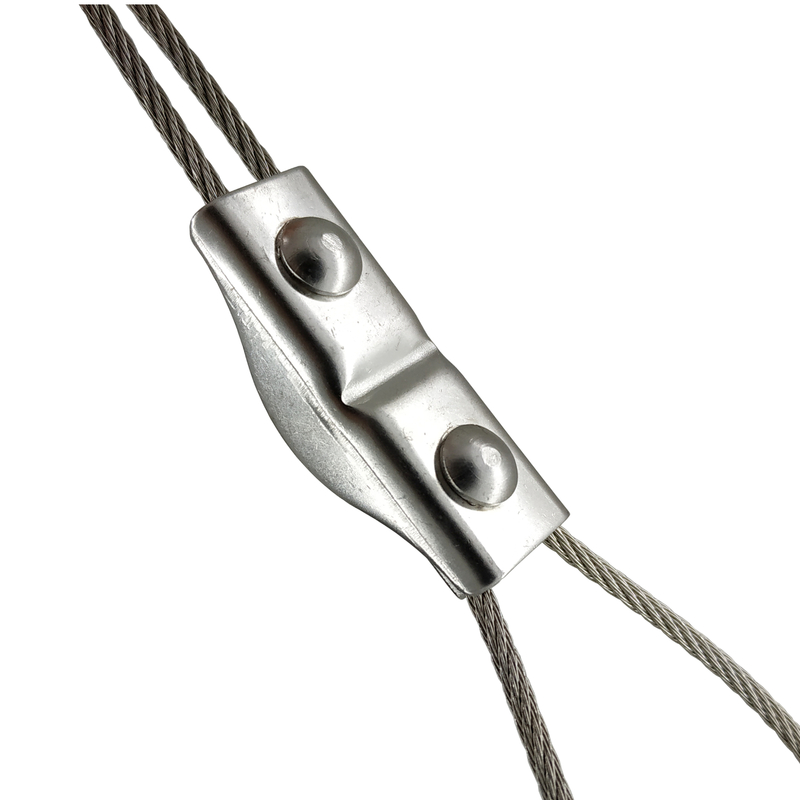 WIRE CLIP BG-SS Small wire rope fastening applications also need secure grips. The IronGrip BG-SS Wire Clip’s unique construction utilizes the fastening torque force in a more intelligent way. The clip is as easy or easier to mount as any other clip but the grip efficiency is essentially higher. Tensile testing shows that IronGrip Wire Clips withstands two times the load level compared with other flat clips on the market. 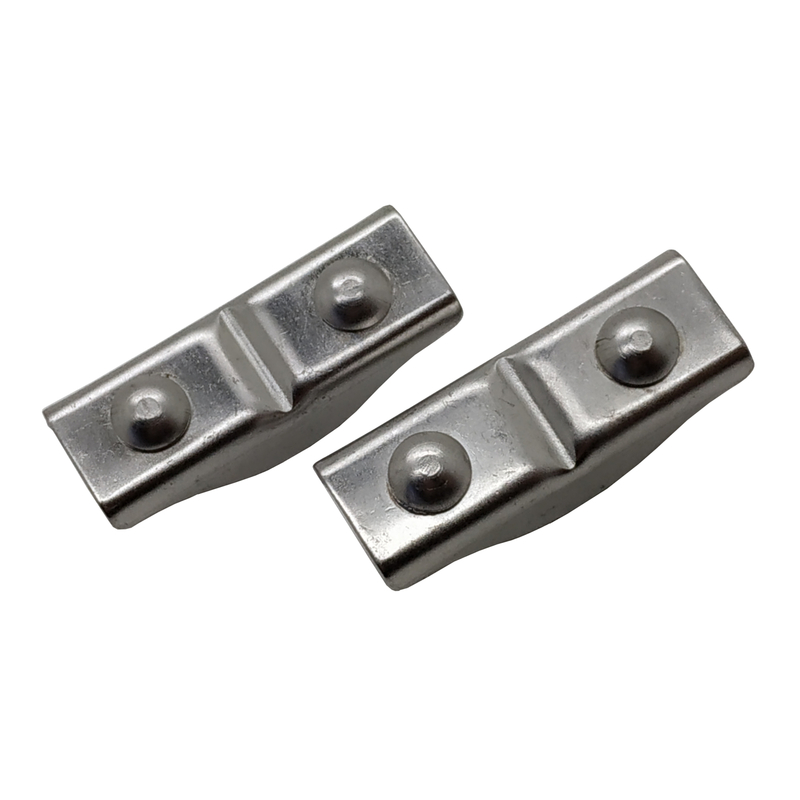 IronGrip Wire Clips are used and found wherever steel wires are used to stabilise or suspend, construction sites, sailing yachts, gymnasiums and many more. 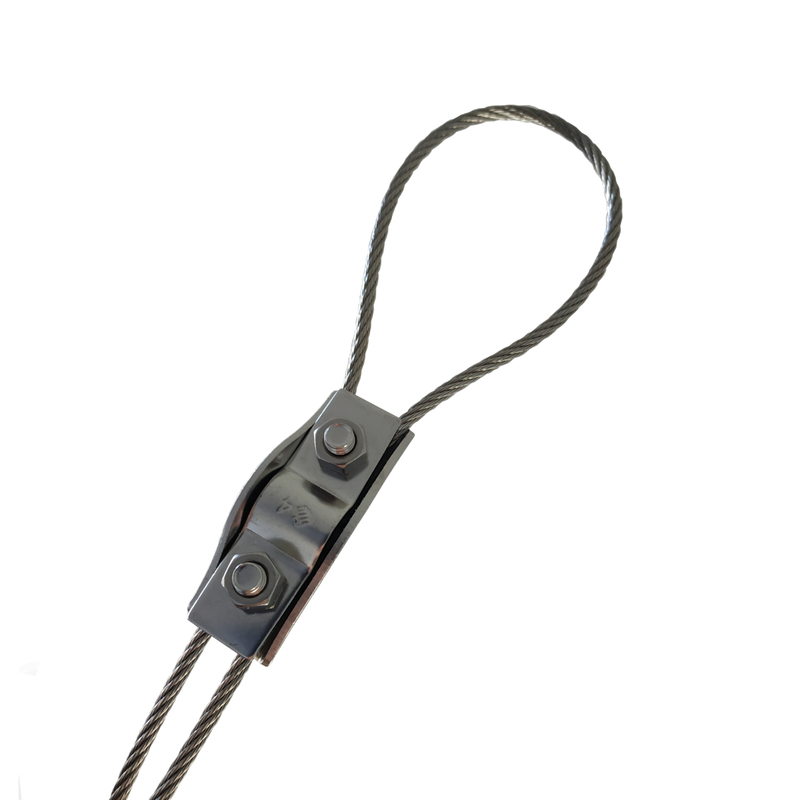 The BG-SS has a unique construction that makes the fastening safe without damaging the wire. The high quality material and surface treatment ensures that the Wire Clip performs in a secure way year after year. The wire rope clip can also be re-used with intact security. The IronGrip Wire Clips are approved for lifting applications for up to 5mm diameter 7 strand (7x7 & 7x19) steel cables and wire ropes. 1. The wire clip can be used with or without thimble. 2. Check that the rope and clip are undamaged and that the threads have been cleaned and lubricated. Thread lubrication is particularly important in lifting service to obtain the correct tractive force in the screws. 3. The length of the loop (h) should, when unloaded, be at least approx. 15 x the rope diameter measured from the clip to the inner curve of the loop (diagram 1). If the rope is to be fastened around a large object, ensure that the pitch angle (v) at the clip is no greater than 45º. 4. If more than one clip is to be fitted, the distance between them must be at least 3 x the rope diameter. If thimbles are used, the distance between the clip closest to the loop and the thimble must be at least 1.5 x the rope diameter. Let the end of the rope project from the last clip by at least 5 x the rope diameter. 5. 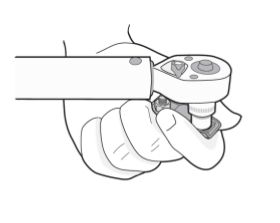 Fasten the clip onto the rope as shown in diagram 2, with a part of the rope on either side of the screws, and tighten the nuts alternately. The correct torque is given in the table. The nuts should be tightened with a torque spanner if the termination is to be used for lifting.